Calling all kids! Re: your lemonade stand business-which is more dangerous to it, a gun or a government bureaucrat? Public enemies! Dangers to the community! As long as the Left is so sincerely concerned about The Children, it is right and fitting to debate what poses a greater challenge to the welfare and healthy personal development of tots. In two separate cases of kids selling lemonade to earn a buck, we are confronted with a) a dope from the neighborhood with a bb-gun (illegally) making off with junior’s paltry profits; and b) 3 different dopes from 3 different local governments (legally) shutting enterprising kids down for not having gone through proper bureaucratic channels. The first instance is normally called a “robbery” where the criminal perpetrator is the robber. 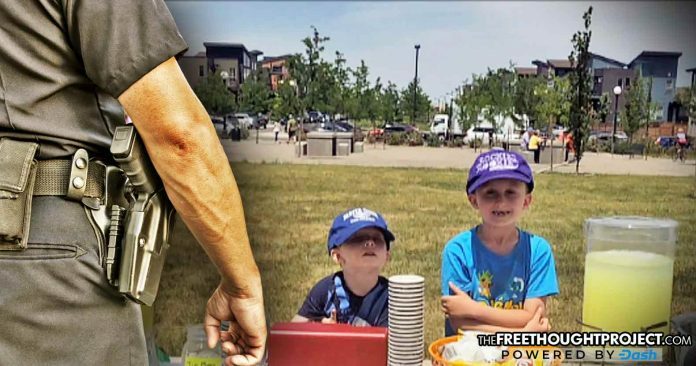 The other is called a “shakedown” where the criminal perpetrators are pre-teens making money selling lemonade without paperwork, in one instance for charity and in another to buy something he thought his parents could not afford.